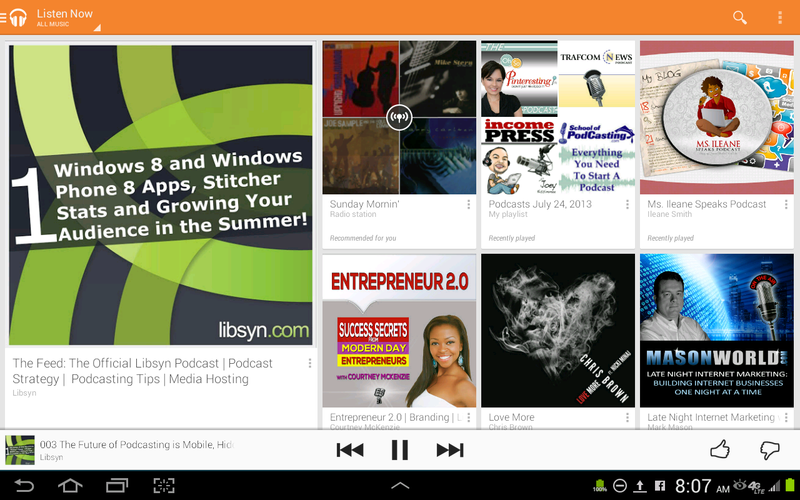 On a daily basis, I go through great lengths to listen to my favorite podcasts. 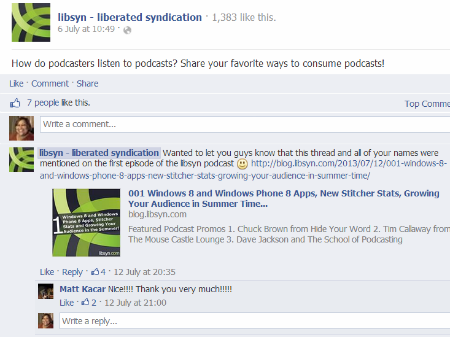 It's pretty common place to hear rumblings everyday about the resurgence of podcasting. Some call it the podcasting renaissance and even the USA Today proclaimed that podcasting is BACK! But most of us who have been podcasting for a year or more, know that it never really went anywhere. It's always been alive and kicking at least in our hearts and minds it has. 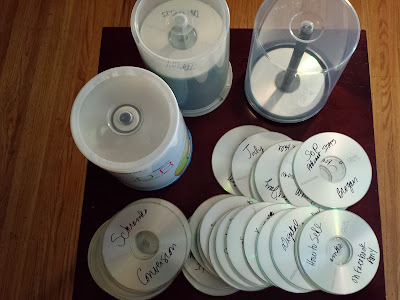 In December 2009, I first wrote about my devotion for podcasts. I even recorded a YouTube video of me reciting the poem called Ode To My Podcasts. Looking back, I know now that was a pivotal moment for me and it was the point when I first got an inkling to start my own podcast. Most people these days listen to audio podcasts on their Smart Phones. Easy access to podcasts via the Podcast App on iPhone and iPad and the various podcast players on Android and Windows phone is heralded as the number 1 reason everyone is jumping back into the podcasting bandwagon. But let's not forget that Smart Phones are not the ONLY way people are listening to podcasts. Keep reading to find out how I listen to podcasts today. 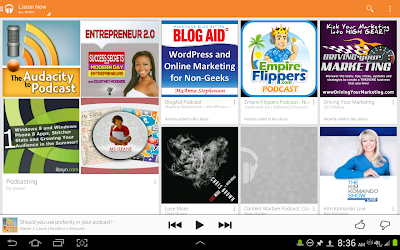 Elsie Asks: How do podcasters listen to podcasts? That's the question that Elsie Escobar the "Podcaster Happiness Expert", from Libsyn asked on Facebook and shared in the inaugural episode of The Feed. My response is way to lengthy and like I said in the title of this post, it's somewhat "unbelievable" in this new era of the podcast app! Here's a picture of my primary method of consuming podcasts (don't laugh). Call me crazy but, everyday before I leave the house for work, I burn a CD so I can listen in the car. I know it seems wasteful but I really don't have a choice. If I could find someone to pass these along to when I'm done at least they would have a little longer shelf-life. You see up until a month ago I didn't have a Smart Phone. Ok, so now I know you're laughing at me. But wait hear me out. Back in July I got a Samsung Galaxy S4 and I absolutely love it. So you might think problem solved right. Well not really, because I can't connect the phone to the speakers in the car. I went online and tried to find some kind of kit that I could use but to no avail. Before you start feeling sorry for me, there is another way that I listen to my favorite podcasts that you might want to try also. You see when I purchased the Galaxy S4 the savvy sales woman made a suggestion. "Since you have the blogsite, I wanted to let you know that we are having a special on the Galaxy Tablet if you get them both at the same time." I love a savvy sales woman don't you? Yeah so I got the Tablet as well and I use the Google Play app to listen to my favorite shows when I'm not sitting in front of the computer. As long as you download podcasts to your computer (I use iTunes), you can sync your music library to Google Play and listen to your podcasts in the cloud without a separate app. Give it a try and I hope you find this tip helpful! What about you? How do YOU listen to podcasts?